Sunday’s BC Provincial A Cup final between BCT Rovers Tigers United and Langley United at Swangard Stadium should be a very tasty affair indeed. Not only is it a battle between the VMSL and FVSL, with local pride and bragging rights on the line, as well as a place at October’s nationals, it’s also set up to be a very intriguing battle between two high profile TSS Rovers players, both of whom are key to their respective side’s chances in Sunday’s showpiece. In goal for Langley United is Andrew Hicks. 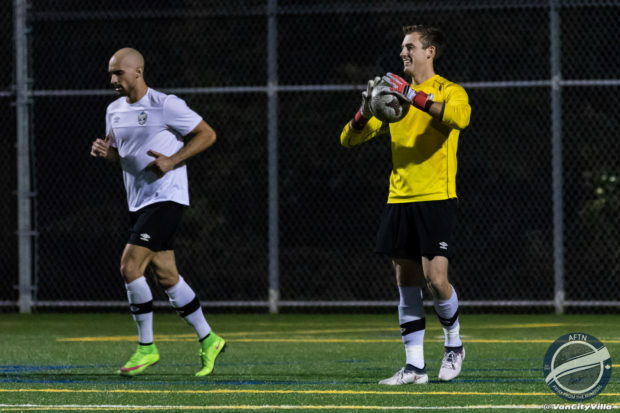 The big stopper is getting set to embark on his second PDL season with TSS Rovers and is fresh from winning the Fraser Valley’s Golden Gloves trophy for his six clean sheets during the regular season. Hicks will be tasked with keeping a very dangerous Rovers Tigers attack at bay. 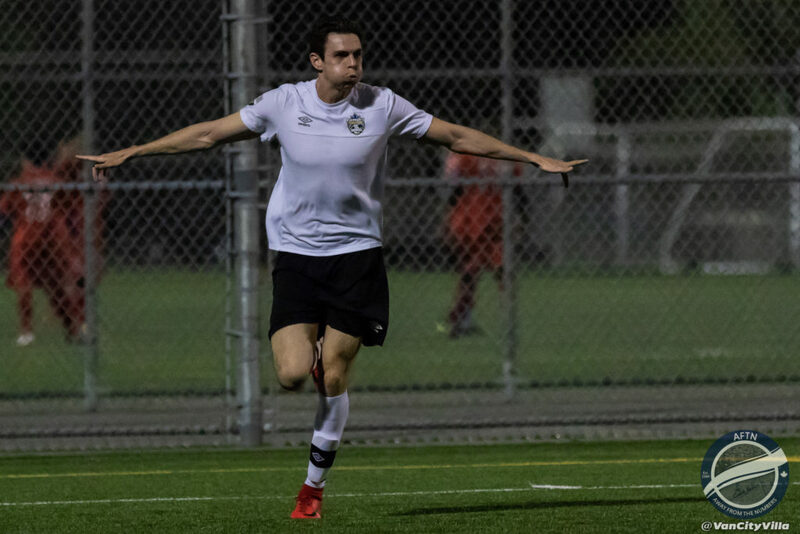 The VMSL champions scored 56 goals on their way to the Premier League title this season and leading the line is a player who Hicks will call a teammate for the PDL season, former TFC striker Nick Soolsma. 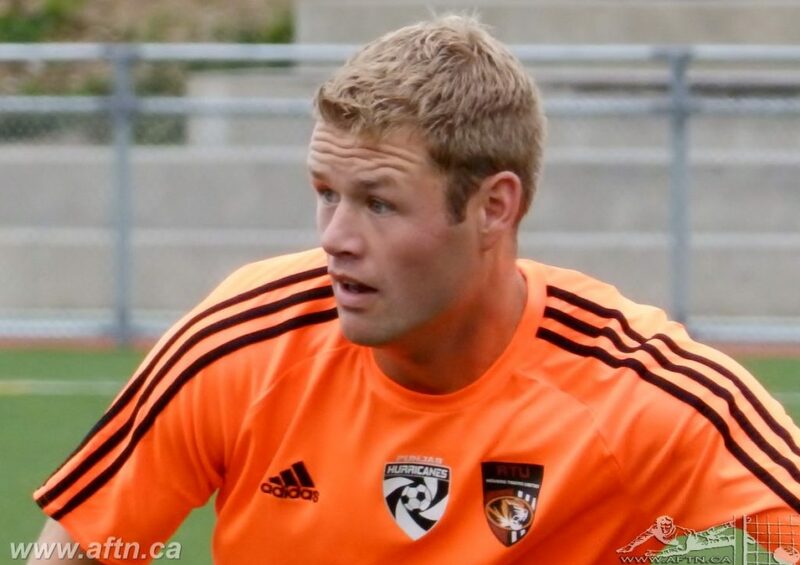 Soolsma hit 16 goals for Rovers Tigers in the league this season and has scored in every round of the team’s run to final, notching five goals including a hat-trick in last Sunday’s semi-final win over VISL champions Cowichan FC. It’s the irresistible force meeting the immovable object. There can only be one winner and Hicks is looking forward to the battle. For Soolsma, it’s even more strange than going up against his new Rovers teammate in goal. He’s going up against his employers too! The striker’s day job is as Assistant Technical Director at Langley United Soccer Association. His job is on the youth side, and has nothing to do with the adult team in the FVSL, but he knows what it means to Langley and to the Valley if they were to land a first BC Provincial A Cup title. On Sunday though, his allegiance is solely to the team he plays for and coaches, Rovers Tigers. “It’s a little bit weird,” Soolsma admitted to us. “With Langley United I’m the Assistant Technical Director and I’m only involved with the youth program. The men’s and the youth is a little bit different, so I’m just involved with the youth. Both teams have been made to work hard for their place in the final. Langley United started off this year’s quest for the Cup with a home game against FVSL rivals Surrey United Firefighters. Trailing 2-0 in the first half, Langley fought back to level by the break and with no further goals coming in the second half and extra time, the match headed to penalties, where Hicks was the hero, keeping out two spot kicks. Then came the farce surrounding their quarter-final tie with Rino’s Tigers. Or rather, their lack of a tie. The VMSL Imperial Cup winners were thrown out of the competition for an International Transfer Certificate (ITC) infraction with one of their players. So were their first round opponents Aldergrove United of the FVSL. The end result was that Langley earned a bye to the semi-finals and a rematch of last year with defending Provincial A Cup champs Club Inter. History wasn’t repeating itself though, and Langley put in a polished performance to comfortably see off Inter 3-1 and book their place in this year’s final thanks to a Brayden Gant hat-trick. It’s been a fantastic run, with some great team and individual performances so far, and Hicks is confident they’ve still got something left in the tank for the final and they have a point to prove. 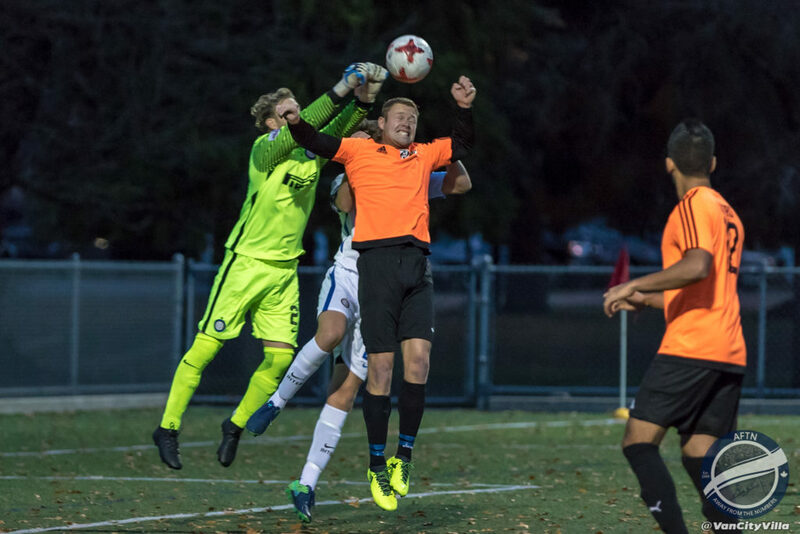 The VMSL champions have had their own battles to get to this stage, needing extra time to see of VISL side Vic West 2-1 in the first round, after falling a goal behind. And it was the same story against fierce VMSL rivals Pegasus in the quarter-finals, where they trailed to an early goal before hitting two in the second half to go through. 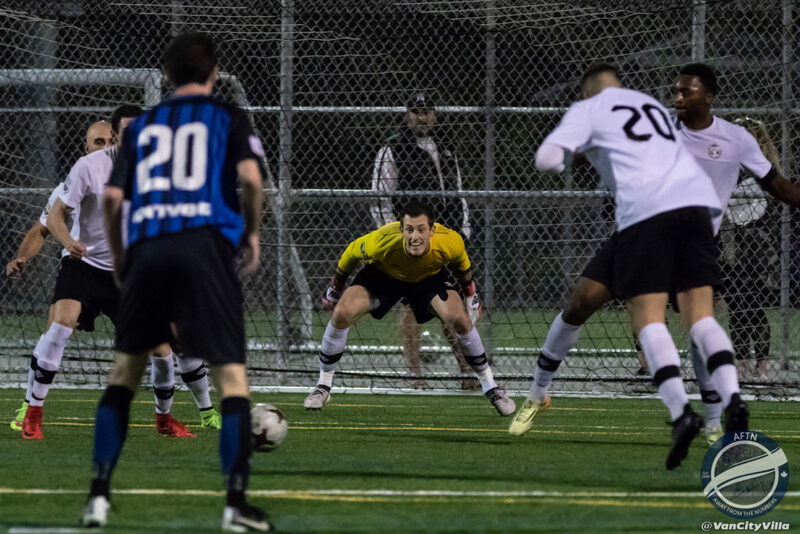 That set up a battle of the champions over on the island last week, where Rovers Tigers bossed the game against Cowichan FC, running out comfortable 3-0 winners thanks to a Soolsma hat-trick. “So far it’s been good,” Soolsma said of Rovers Tigers cup run to date. “We had a couple of tough games in the first couple of rounds. We played Victoria West in the first game and were 1-0 down and we fought back. The same thing happened in the quarter-final with our rivals Pegasus. “[Against Cowichan] we scored an early goal and it helped us a lot. The only thing was we couldn’t get a second one. We created a lot of chances and I think over the whole game we were the better team, but we kept them in the game because we didn’t score the second one and then after we got the second one in the 70th minute, the game was done. And Rovers Tigers will get the same again fieldwise in the final on Sunday at Swangard (kick off 3pm). It’s a surface made for the Surrey side’s speedy attack, where Pavi Dhillon hit 11 goals during the VMSL season, former TSS Rovers Ryan Dhillon scored 10, and new TSS Rover Rahid Rahiem grabbed four goals. Langley finished second in the FVSL Premier this season, seven points behind champions Coastal FC. They’re not a flashy team, but Mike Wagner and Rob Keam have put together a very talented squad, built with winning a Provincial title in mind. “We’ve got a good group of guys,” Hicks feels. “A lot of what I like to call grinders. But we also have a few players that fill in the more technical finesse components of the team. So we really have a good mix. Soolsma and Rahiem are far from the only familiar faces for Hicks and Langley United in the final. They know this Rovers Tigers team well, having dispatched them in the quarter-final stage of last year’s competition thanks to a solitary Gant goal in a 1-0 win. Langley fell at the semi-final hurdle last season to eventual champions Club Inter. Having got their revenge in this year’s semi-final, the Fraser Valley side are now hoping that they can conjure up a repeat of their last eight win against the Surrey side, but they know they have a tough task on their hands. “We did come across this team last year in the Provincial run,” Hicks explained. “Now, they were a different team and I was not playing. We expect that we might need to sit in for periods of time in the game and some of the turning points might be on our dead balls, our free kicks. Were Rovers Tigers caught off guard by Langley’s strengths last season? Perhaps, but it’s not something that Soolsma feels will be repeated in this year’s final. Much has been made in local soccer circles of the FVSL having never won a Provincial A Cup title. Aldergrove United came close to breaking that hoodoo last season, losing 2-0 in the final to Club Inter. Is this the year that they break the VMSL stranglehold with Langley and shut up the detractors? But the motivation to lift the famous old trophy is the same for Rovers Tigers United. They haven’t won a Provincial title in their current incarnation, although Sapperton Rovers, who were part of the current amalgamation, did win the Cup back in 2006. And the desire to bring that elusive piece of silverware to the Tigers trophy case is very strong. The action gets underway at Burnaby’s Swangard Stadium at 3pm. Admission is free and it should be a cracker on a beautiful May day for football. If you can’t make it along you can watch a live stream HERE and we’ll have full postgame coverage here on AFTN next week.